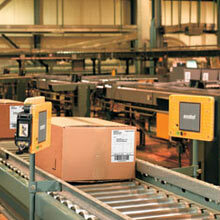 POSDATA has partnered with industry leaders in warehouse management software and hardware systems to provide our clients with the very best technology to manage your supply chain within the four walls. With over 30 years of hands-on experience in designing, developing and installing systems, our consultative approach and pre-installation planning ensure that your needs are met quickly and cost-effectively. Our knowledgeable staff can help with systems analysis, hardware/software selection, custom programming, site surveys, installation, and training for your radio frequency systems. 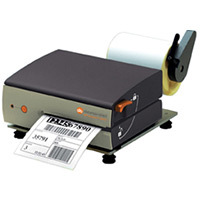 We offer barcode and RFID scanners, antennas, and encapsulation of RFID tags, along with unparalleled customer support in the purchase and installation process. Our technicians provide detailed site surveys of the area where you want to install a radio frequency (WAN/LAN) system, determining optimal access points and antennae location for 100% coverage of your facility. 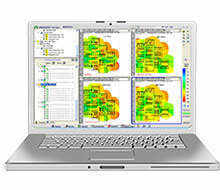 Following the survey, POSDATA will install and troubleshoot your system to ensure the configuration and connection matches your needs. Our specialists are well-versed in the best forklift-mounted terminals, such as the pictured Datamax-O’Neil Compact4 Mark II, which can operate from a connection to a forklift’s battery and are vibration-proof for warehouse work. 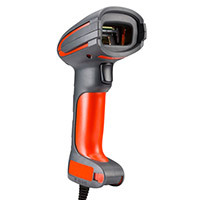 POSDATA has been selling and supporting barcode scanners for more than three decades. We partner with the top scanner manufacturers to bring you the leading scanners available today, and you can depend on us to guide you through the correct configuration, interface, and cabling choices.